All 2018 General Officer assignments for the Army, Air Force and Marine Corps. Army, A General Officer has a pay grade of O-7 and above and includes Brigadier General (one-star), Major General (two-star), Lieutenant General (three-star), General (four-star). Five-Star ranks are generally reserved for war time use. See here for the 2019 General Officer assignments. Maj. Gen. Patrick W. Burden, deputy commander, Combined Security Transition Command-Afghanistan, U.S. Forces-Afghanistan, Afghanistan, to deputy commanding general, acquisition and systems management, U.S. Army Futures Command, Austin, Texas. Maj. Gen. Jody J. Daniels, U.S. Army Reserve, to commanding general, Troop Program Unit, 88th Readiness Division, Fort McCoy, Wisconsin. She most recently served as deputy chief of staff, U.S. Army Forces Command, Fort Bragg, North Carolina. Maj. Gen. Arlan M. Deblieck, U.S. Army Reserve, to deputy chief of staff, U.S. Army Forces Command, Fort Bragg, North Carolina. He most recently served as deputy commanding general (individual mobilization augmentee), Eighth Army, Republic of Korea. Maj. Gen. Brian E. Winski, chief, legislative liaison, Office of the Secretary of the Army, Washington, District of Columbia, to commanding general, 101st Airborne Division (Air Assault) and Fort Campbell, Fort Campbell, Kentucky. Brig. Gen. Ellen S. Clark, U.S. Army Reserve, director, Army Reserve Engagement Cell (individual mobilization augmentee)/deputy commanding general, mobilization and reserve affairs, U.S. Army Europe, Germany. She most recently served as director, Army Reserve Engagement Cell (individual mobilization augmentee)/deputy commanding general, U.S. Army South, Fort Sam Houston, Texas. Brig. Gen. James J. Gallivan, deputy commanding general (operations), 1st Armored Division, Fort Bliss, Texas to chief of staff, U.S. Army Futures Command, Austin, Texas. Brig. Gen. John H. Phillips, U.S. Army Reserve, G-6, U.S. Army Europe, Germany. He most recently served as commanding general, Troop Program Unit, 335th Signal Command (Theater) Operational Command Post (Forward), Camp Arifjan, Kuwait. Brig. Gen. Tracy L. Smith, U.S. Army Reserve, to commander, 18th Medical Command (Deployment Support), Fort Shafter, Hawaii. She most recently served as deputy commander for Professional Services, Troop Program Unit, 807th Medical Command (Deployment Support), Saint Charles, Missouri. Brig. Gen. Irene M. Zoppi, U.S. Army Reserve, director, Army Reserve Engagement Cell (individual mobilization augmentee)/deputy commanding general, U.S. Army South, Fort Sam Houston, Texas. She most recently served as deputy commanding general, Troop Program Unit, 200th Military Police Command, Fort Meade, Maryland. Maj. Gen. Charles H. Cleveland, vice director for intelligence, J-2, Joint Staff (Defense Intelligence Agency), Washington, District of Columbia, to director of operations and military deputy, National Geospatial-Intelligence Agency, Springfield, Virginia. Maj. Gen. James E. Kraft Jr. to director of operations, U.N. Command/Combined Forces Command/U.S. Forces Korea, Republic of Korea. He most recently served as deputy commanding general, U.S. Army Special Operations Command, Fort Bragg, North Carolina. Maj. Gen. Robert L. Marion, deputy for acquisition and systems management, Office of the Assistant Secretary of the Army (Acquisition, Logistics and Technology), Washington, District of Columbia, to deputy commander, Combined Security Transition Command-Afghanistan, U.S. Forces-Afghanistan, Operation Freedom’s Sentinel, Afghanistan. Brig. Gen. Michele H. Bredenkamp, deputy director, program analysis and evaluation, G-8, U.S. Army, Washington, District of Columbia, to vice director for intelligence, J-2, Joint Staff (Defense Intelligence Agency), Washington, District of Columbia. Brig. Gen. Michael R. Fenzel to military assistant to the special envoy to Afghanistan, Department of State, Washington, District of Columbia. He most recently served as director, CJ-5, Resolute Support Mission, North Atlantic Treaty Organization, Operation Freedom’s Sentinel, Afghanistan. Col. (Promotable) Kevin C. Leahy to deputy commander, Special Operations Command Central, U.S. Central Command, Tampa, Florida. He most recently served as director, Commander’s Action Group, U.S. Special Operations Command, MacDill Air Force Base, Florida. Maj. Gen. David W. Allvin, director of policy, strategy, partnering and capabilities, J-5/8, Headquarters United States European Command, Stuttgart-Vaihingen, Germany, to vice director, strategic plans and policy, J-5, Joint Staff, Pentagon, Washington, District of Columbia. Maj. Gen. Nina M. Armango, director, plans and policy, J-5, Headquarters United States Strategic Command, Offutt Air Force Base, Nebraska, to director, space programs, Office of the Assistant Secretary of the Air Force (Acquisition), Pentagon, Washington, District of Columbia. Maj. Gen. Sam C. Barrett, director, operations, strategic deterrence and nuclear integration, Headquarters Air Mobility Command, Scott Air Force Base, Illinois, to commander, Eighteenth Air Force, Air Mobility Command, Scott Air Force Base, Illinois. Maj. Gen. Andrew A. Croft, special assistant to the commander, Twelfth Air Force (Air Forces Southern), Air Combat Command, Davis-Monthan Air Force Base, Arizona, to commander, Twelfth Air Force (Air Forces Southern), Air Combat Command, Davis-Monthan Air Force Base, Arizona. Maj. Gen. James C. Dawkins Jr., deputy director for nuclear, homeland defense, and current operations, J-3, Joint Staff, Pentagon, Washington, District of Columbia, to commander, Eighth Air Force and Commander, Joint-Global Strike Operations Center, Air Force Global Strike Command, Barksdale Air Force Base, Louisiana. Maj. Gen. Dawn M. Dunlop, commander, North Atlantic Treaty Organization Airborne Early Warning and Control Force Command, Supreme Allied Command Europe, Geilenkirchen, Germany, to director, special programs, and director, Department of Defense Special Access Program Central Office, Office of Under Secretary of Defense for Acquisition and Sustainment, Office of the Secretary of Defense, Pentagon, Washington, District of Columbia. Maj. Gen. Timothy G. Fay, deputy commander, Headquarters United States Air Forces in Europe and Air Forces Africa, Ramstein Air Base, Germany, to special assistant to the vice chief of staff of the United States Air Force, Headquarters United States Air Force, Pentagon, Washington, District of Columbia. Maj. Gen. Cedric D. George, deputy director, resource integration, deputy chief of staff for logistics, engineering and force protection, Headquarters United States Air Force, Pentagon, Washington, District of Columbia, to director, logistics, deputy chief of staff for logistics, engineering and force protection, Headquarters United States Air Force, Pentagon, Washington, District of Columbia. Maj. Gen. James B. Hecker, commander, 9th Air and Space Expeditionary Task Force – Afghanistan; commander, North Atlantic Treaty Organization Air Command – Afghanistan; director, Air Forces Central Command’s Air Component Coordination Element for United States Forces – Afghanistan, Air Combat Command and support of North Atlantic Treaty Organization’s Operation RESOLUTE SUPPORT; deputy commander – Air, United States Forces-Afghanistan, United States Central Command, Kabul, Afghanistan, to vice director for operations, J-3, Joint Staff, Pentagon, Washington, District Columbia. Maj. Gen. Patrick C. Higby, director, cyberspace strategy and policy, Office of Information Dominance, and chief information officer, Office of the Secretary of the Air Force, Pentagon, Washington, District of Columbia, to director, information technology acquisition process development, Office of the Assistant Secretary of the Air Force for Acquisition, Joint Base Anacostia-Bolling, District of Columbia. Maj. Gen. Thomas E. Murphy, deputy director for command, control, communications and computers/cyber systems, J-6, Joint Staff, Pentagon, Washington, District of Columbia, to deputy director, resource integration, deputy chief of staff for logistics, engineering and force protection, Headquarters United States Air Force, Pentagon, Washington, District of Columbia. Maj. Gen. Thomas J. Sharpy, deputy commander, Air Mobility Command, Scott Air Force Base, Illinois, to special assistant to the commander, Air Mobility Command, Scott Air Force Base, Illinois. Maj. Gen. Robert J. Skinner, deputy commander, Air Force Space Command, Peterson Air Force Base, Colorado, to commander, 24th Air Force, Air Force Space Command and Commander, Air Forces Cyber, United States Cyber Command, Joint Base San Antonio-Lackland, Texas. Maj. Gen. Dirk D. Smith, deputy commander, operations and intelligence, Combined Joint Task Force-Operation INHERENT RESOLVE, United States Central Command; and commander, 9th Air Expeditionary Task Force-Levant, Air Combat Command, Southwest Asia, to vice director, Joint Force Development, J-7, Joint Staff, Pentagon, Washington, District of Columbia. Maj. Gen. Andrew J. Toth, director of operations, Headquarters Air Combat Command, Joint Base Langley-Eustis, Virginia, to commander, Air Force Personnel Center, deputy chief of staff, manpower, personnel and services, Joint Base San Antonio-Randolph, Texas. Maj. Gen. Glen D. Vanherck, vice director, strategic plans and policy, J-5, Joint Staff, Pentagon, Washington, District of Columbia, to vice director, Joint Staff, Pentagon, Washington, District of Columbia. Maj. Gen. Christopher P. Weggemen, commander, 24th Air Force, Air Force Space Command, and commander, Air Forces Cyber, United States Cyber Command, Joint Base San Antonio-Lackland, Texas, to special assistant to the commander, Air Combat Command, Joint Base Langley-Eustis, Virginia. Brig. Gen. Christopher P. Azzano, director, air, apace and cyberspace operations, Headquarters Air Force Materiel Command, Wright-Patterson Air Force Base, Ohio, to commander, Air Force Test Center, Air Force Materiel Command, Edwards Air Force Base, California. Brig. Gen. Mark A. Baird, director, space programs, Office of the Assistant Secretary of the Air Force (Acquisition), Pentagon, Washington, District of Columbia, to deputy director, National Reconnaissance Office, and commander, Air Force Element, National Reconnaissance Office, Chantilly, Virginia. Brig. Gen. Craig R. Baker, commander, 455th Air Expeditionary Wing, Air Combat Command, Bagram Airfield, Afghanistan, to vice commander, Twelfth Air Force, Air Combat Command, Davis-Monthan Air Force Base, Arizona. Brig. Gen. Vincent K. Becklund, who has been selected for the grade of major general, special assistant to the commander, Headquarters Air Force Special Operations Command, Hurlburt Field, Florida, to deputy commander, Headquarters Air Force Special Operations Command, Hurlburt Field, Florida. Brig. Gen. Lance R. Bunch, director, CJ35, future Ooerations, Headquarters RESOLUTE SUPPORT, United States Central Command, Kabul, Afghanistan, to director, Transregional Threat Coordination Cell, J-5, Joint Staff, Pentagon, Washington, District of Columbia. Brig. Gen. Deanna M. Burt, vice commander, United States Air Force Warfare Center, Air Combat Command, Nellis Air Force Base, Nevada, to director of integrated air, space and cyberspace operations, Headquarters Air Force Space Command, Peterson Air Force Base, Colorado. Brig. Gen. Todd D. Canterbury, director, F-35 Integration Office, Office of the Vice Chief of Staff of the Air Force, Headquarters United States Air Force, Pentagon, Washington, District of Columbia, to commander, 56th Fighter Wing, Air Education and Training Command, Luke Air Force Base, Arizona. Brig. Gen. Martin A. Chapin, commander, Defense Logistics Agency-Energy, Defense Logistics Agency, Fort Belvoir, Virginia, to deputy to the deputy chief of staff support, RESOLUTE SUPPORT, and director, CJ4, United States Forces-Afghanistan, Kabul, Afghanistan. Brig. Gen. James R. Cluff, vice commander, 25th Air Force, Air Combat Command, Joint Base San Antonio-Lackland, Texas, to director, Warfighting Operations Support, deputy chief of staff, intelligence, surveillance and reconnaissance, Headquarters United States Air Force, Pentagon, Washington, District of Columbia. Brig. Gen. Charles S. Corcoran, who has been selected for the grade of major general, deputy chief of staff, operations, Headquarters Allied Air Command, Allied Command Operations, North Atlantic Treaty Organization, Ramstein Air Base, Germany, to director, operations, strategic deterrence, and nuclear integration, Headquarters United States Air Forces in Europe and Air Forces Africa, Ramstein Air Base, Germany. Brig. Gen. Barry R. Cornish, who has been selected for the grade of major general, deputy director for operations, Operations Team Two, National Joint Operations and Intelligence Center, J-3, Joint Staff, Pentagon, Washington, District of Columbia, to vice deputy director for nuclear, homeland defense and current operations, J-33, Joint Staff, Pentagon, Washington, District of Columbia. Brig. Gen. Andrew A. Croft, who has been selected to the grade of major general, deputy commanding general – Air, Combined Joint Forces Land Component Command – Iraq; director, Joint Air Component Coordination Element – Iraq to Combined Joint Task Force-Operation INHERENT RESOLVE and vice commander, 9th Air Expeditionary Task Force – Levant, Southwest Asia, to special assistant to commander, Twelfth Air Force (Air Forces Southern), Air Combat Command, Davis-Monthan Air Force Base, Arizona. Brig. Gen. John J. Degoes, who has been selected for the grade of major general, vice commander, 59th Medical Wing (Wilford Hall), Air Education and Training Command, Joint Base San Antonio-Lackland, Texas, to commander, 59th Medical Wing (Wilford Hall), Air Education and Training Command, Joint Base San Antonio-Lackland, Texas. Brig. Gen. James H. Dienst, director, J7 – Education and Training, Defense Health Agency, Falls Church, Virginia, to commander, Air Force Medical Operations Agency, Office of the Surgeon General of the Air Force, Headquarters United States Air Force, Joint Base San Antonio-Lackland, Texas. Brig. Gen. Michael L. Downs, director, future warfare, deputy chief of staff, intelligence, surveillance and reconnaissance, Headquarters United States Air Force, Pentagon, Washington, District of Columbia, to director of intelligence, United States Forces Korea/deputy director of intelligence, Combined Forces Command, United States Pacific Command, Seoul, Republic of Korea. Brig. Gen. Derek C. France, commander, 380th Air Expeditionary Wing, Air Combat Command, Al Dhafra Air Base, United Arab Emirates, to deputy director, operations, J-3, Headquarters United States Central Command, MacDill Air Force Base, Florida. Brig. Gen. Paul A. Friedrichs, command surgeon, United States Transportation Command, Scott Air Force Base, Illinois, to command surgeon, Headquarters Air Combat Command, Joint Base Langley-Eustis, Virginia. Brig. Gen. Andrew J. Gebara, deputy director for operations, Operations Team Three, National Joint Operations and Intelligence Center, J-3, Joint Staff, Pentagon, Washington, District of Columbia, to director, strategic capabilities policy, National Security Council, Executive Office of the President, Washington, District of Columbia. Brig Gen John R. Gordy II, who has been selected to the grade of major general, senior defense official and defense attaché, Turkey (United States European Command), Defense Intelligence Agency, Ankara, Turkey, to commander, United States Air Force Expeditionary Center, Air Mobility Command, Joint Base McGuire-Dix-Lakehurst, New Jersey. Brig. Gen. Ronald M. Harvell, command chaplain, Headquarters Air Mobility Command, Scott Air Force Base, Illinois, to deputy chief of chaplains, Headquarters United States Air Force, Pentagon, Washington, District of Columbia. Brig. Gen. Timothy D. Haugh, director of intelligence, J-2, United States Cyber Command, Fort George G. Meade, Maryland, to commander, Cyber National Mission Force, United States Cyber Command, Fort George G. Meade, Maryland. Brig. Gen. Kevin A. Huyck, who has been selected for the grade of major general, North American Aerospace Defense Command deputy director of operations, Headquarters United States Northern Command, Peterson Air Force Base, Colorado, to director of operations, Headquarters Air Combat Command, Joint Base Langley-Eustis, Virginia. Brig. Gen. Joel D. Jackson, chief, Joint Operations Center, Headquarters United States Transportation Command, Scott Air Force Base, Illinois, to vice commander, Eighteenth Air Force, Air Mobility Command, Scott Air Force Base, Illinois. Brig. Gen. Darren V. James, vice commander, Eighteenth Air Force, Air Mobility Command, Scott Air Force Base, Illinois, to director, operations, strategic deterrence and nuclear integration, Headquarters Air Mobility Command, Scott Air Force Base, Illinois. Brig. Gen. David J. Julazadeh, who has been selected for the grade of major general, deputy director, operations, J-3, Headquarters United States Central Command, MacDill Air Force Base, Florida, to director of policy, strategy, partnering and capabilities, United States European Command, Patch Barracks, Stuttgart, Germany. Brig. Gen. Kevin B. Kennedy, who has been selected for the grade of major general, principal director to the deputy chief information officer for command, control, communications and computers and information infrastructure capabilities, Office of the Secretary of Defense, Chief Information Officer, Pentagon, Washington, District of Columbia, to director, cyberspace strategy and policy, Office of Information Dominance, and chief information officer, Office of the Secretary of the Air Force, Pentagon, Washington, District of Columbia. Brig. Gen. Michael G. Koscheski, director, Air Crew Task Force, deputy chief of staff, operations, Headquarters United States Air Force, Pentagon, Washington, District of Columbia, to director, plans, programs and analyses, Headquarters United States Air Forces in Europe and United States Air Forces Africa, Ramstein Air Base, Germany. Brig. Gen. Kyle Kramer, who has been selected to the grade of major general, director, manpower and personnel, J-1, Joint Staff, Pentagon, Washington, District of Columbia, to director, global reach programs, Office of the Assistant Secretary of the Air Force (Acquisition), Pentagon, Washington, District of Columbia. Brig. Gen. David J. Kumashiro, director, Air Force general officer management, deputy chief of staff, manpower, personnel and services, Headquarters United States Air Force, Pentagon, Washington, District of Columbia, to director, Air Force executive talent management, Office of the Vice Chief of Staff of the Air Force, Pentagon, Washington, District of Columbia. Brig. Gen. Lance K. Landrum, commander, 31st Fighter Wing, United States Air Forces in Europe, Aviano Air Base, Italy, to deputy director for requirements and capability development, J-8, Joint Staff, Pentagon, Washington, District of Columbia. Brig. Gen. Leah G. Lauderback, director, CJ2, Combined Joint Task Force-Operation INHERENT RESOLVE, Southwest Asia, to director, future warfare, deputy chief of staff, intelligence, surveillance and reconnaissance, Headquarters United States Air Force, Pentagon, Washington, District of Columbia. Brig. Gen. Brook J. Leonard, commander, 56th Fighter Wing, Air Education and Training Command, Luke Air Force Base, Arizona, to deputy commanding general-air, Combined Joint Force Land Component; commander, 321st Air Expeditionary Wing; and deputy commander, 9th Air Expeditionary Task Force-Levant, Baghdad, Iraq. Brig. Gen. Michael J. Lutton, principal assistant deputy administrator for military applications, National Nuclear Security Administration, Department of Energy, Washington, District of Columbia, to deputy director, nuclear, homeland defense and current operations, J-3, Joint Staff, Pentagon, Washington, District of Columbia. Brig. Gen. Carl E. Schaefer, who has been selected for the grade of major general, commander, 412th Test Wing, Air Force Test Center, Air Force Materiel Command, Edwards Air Force Base, California, to commander, Air Force Test Center, Air Force Materiel Command, Edwards Air Force Base, California. Brig. Gen. Charles B. McDaniel, vice commander, 618th Air Operations Center, Tanker Airlift Control Center, Air Mobility Command, Scott Air Force Base, Illinois, to component commander, E3A, North Atlantic Treaty Organization Airborne Early Warning and Control Force, Allied Command Operations, Geilenkirchen, Germany. Brig. Gen. Joseph D. McFall, special assistant to the vice chief of staff of the United States Air Force, Headquarters United States Air Force, Pentagon, Washington, District of Columbia, to deputy commander, North Atlantic Treaty Organization Mission Iraq, Baghdad, Iraq. Brig. Gen. Albert G. Miller, director, United States Central Command Deployment and Distribution Operations Center, United States Central Command, Camp Arifjan, Kuwait, to commander, Defense Logistics Agency-Energy, Defense Logistics Agency, Fort Belvoir, Virginia. Brig. Gen. Paul D. Nelson, who has been selected to the grade of major general, director, intelligence division, North American Treaty Organization Military Committee, Brussels, Belgium, to special assistant, Vice Chief of Staff, United States Air Force, Pentagon, Washington, District of Columbia. Brig. Gen. Aaron M. Prupas, director, warfighting operations support, deputy chief of staff, intelligence, surveillance and reconnaissance, Headquarters United States Air Force, Pentagon, Washington, District of Columbia, to director of intelligence, Headquarters Air Combat Command, Joint Base Langley-Eustis, Virginia. Brig. Gen. Kyle W. Robinson, commander, 332d Air Expeditionary Wing, Air Combat Command, Southwest Asia, to commandant, The Dwight D. Eisenhower School for National Security and Resource Strategy, National Defense University, Fort Leslie J. McNair, Washington, District of Columbia. Brig. Gen. Bradley C. Saltzman, director of current operations, deputy chief of staff, operations, Headquarters United States Air Force, Pentagon, Washington, District of Columbia, to special assistant to the chief of staff for multi-domain command and control, Office of the Chief of Staff, Headquarters United States Air Force, Pentagon, Washington, District of Columbia. Brig. Gen. Carl E. Schaefer, who has been selected for the grade of major general, commander, 412th Test Wing, Air Force Test Center, Air Force Materiel Command, Edwards Air Force Base, California, to deputy commander, Headquarters Air Force Materiel Command, Wright-Patterson Air Force Base, Ohio. Brig. Gen. James R. Sears Jr., director, operations and communications, Headquarters Air Education and Training Command, Joint Base San Antonio-Randolph, Texas, to director, plans, programs, and requirements, Headquarters Air Education and Training Command, Joint Base San Antonio-Randolph, Texas. Brig. Gen. Christopher M. Short, senior defense official and defense attaché-United Kingdom, Defense Intelligence Agency, United States Embassy, London, United Kingdom, to director, Air Crew Task Force, deputy chief of staff, operations, Headquarters United States Air Force, Pentagon, Washington, District of Columbia. Brig. Gen. William A. Spangenthal, director, plans, programs, and requirements, Headquarters Air Education and Training Command, Joint Base San Antonio-Randolph, Texas, to director, operations and communications, Headquarters Air Education and Training Command, Joint Base San Antonio-Randolph, Texas. Brig. Gen. David H. Tabor, special assistant to the commander, United States Special Operations Command, MacDill Air Force Base, Florida, to assistant commander-support, Joint Special Operations Command, United States Special Operations Command, Fort Bragg, North Carolina. Col. Ronald G. Allen Jr., who has been selected for the grade of brigadier general, commander, 341st Missile Wing, Air Force Global Strike Command, Malmstrom Air Force Base, Montana, to principal assistant deputy administrator for military applications, National Nuclear Security Administration, Department of Energy, Washington, District of Columbia. Col. Mark R. August, who has been selected for the grade of brigadier general, assistant director, operations, strategic deterrence and nuclear integration, Headquarters Air Mobility Command, Scott Air Force Base, Illinois, to commander, 86th Airlift Wing, United States Air Forces in Europe and United States Air Forces Africa, Ramstein Air Base, Germany. Col. Sharon Bannister, who has been selected for the grade of brigadier general, deputy program officer, Military Health System Program Management Office, Defense Health Headquarters, Falls Church, Virginia, to director, education and training, Defense Health Agency, and assistant surgeon general for dental services, Office of the Surgeon General of the Air Force, Headquarters United States Air Force, Falls Church, Virginia. Col. Charles E. Brown Jr., who has been selected to the grade of brigadier general, senior special assistant to the commander, United States European Command and Supreme Allied Commander, Europe, Headquarters United States European Command, Mons, Belgium, to special assistant, vice chief of staff, United States Air Force, Pentagon, Washington, District of Columbia. Col. Charles E. Brown Jr., who has been selected for the grade of brigadier general, special assistant, vice chief of staff, United States Air Force, Pentagon, Washington, District of Columbia, to United States senior defense official/defense attaché, United States Embassy, Tel Aviv, Israel. Col. Brenda P. Cartier, who has been selected for the grade of brigadier general, commander, 58th Special Operations Wing, Air Education and Training Command, Kirtland Air Force Base, New Mexico, to director of operations, Headquarters Air Force Special Operations Command, Hurlburt Field, Florida. Col. Darren R. Cole, who has been selected for the grade of brigadier general, commander, 305th Air Mobility Wing, Air Mobility Command, Joint Base McGuire-Dix-Lakehurst, New Jersey, to director, United States Central Command Deployment and Distribution Operations Center, United States Central Command, Camp Arifjan, Kuwait. Col. Douglas S. Coppinger, who has been selected to the grade of brigadier general, commander, National Security Agency/Central Security Service-Texas, National Security Agency, Joint Base San Antonio-Lackland, Texas, to director of intelligence, J-2, United States Cyber Command, Fort George G. Meade, Maryland. Col. Michele C. Edmondson, who has been selected for the grade of brigadier general, senior executive officer to the vice chief of staff of the Air Force, Headquarters United States Air Force, Pentagon, Washington, District of Columbia, to director, space policy, National Security Council, Executive Office of the President, Washington, District of Columbia. Col. Peter M. Fessler, who has been selected for the grade of brigadier general, vice director of operations, Headquarters North American Aerospace Defense Command, Peterson Air Force Base, Colorado, to North American Aerospace Defense Command deputy director of operations, Headquarters United States Northern Command, Peterson Air Force Base, Colorado. Col. Eric H. Froehlich, who has been selected for the grade of brigadier general, vice commander, Air Force Sustainment Center, Air Force Materiel Command, Tinker Air Force Base, Oklahoma, to director of installations, logistics and mission support, Headquarters Air Force Global Strike Command, Barksdale Air Force Base, Louisiana. Col. Stephen F. Jost, who has been selected for the grade of brigadier general, chief, Operations Division, F-35 Integration, Office of the Vice Chief of Staff of the Air Force, Headquarters United States Air Force, Pentagon, Washington, District of Columbia, to director, F-35 Integration Office, Office of the Vice Chief of Staff of the Air Force, Headquarters United States Air Force, Pentagon, Washington, District of Columbia. Col. Daniel T. Lasica, who has been selected for the grade of brigadier general, commander, 20th Fighter Wing, Air Combat Command, Shaw Air Force Base, South Carolina, to commander, 31st Fighter Wing, United States Air Forces in Europe, Aviano Air Base, Italy. Col. Laura L. Lenderman, who has been selected for the grade of brigadier general, deputy director, strategy, capabilities, policy and logistics, TCJ5/4, Headquarters United States Transportation Command, Scott Air Force Base, Illinois, to commander, 502d Air Base Wing and commander, Joint Base San Antonio, Air Education and Training Command, Joint Base San Antonio-Fort Sam Houston, Texas. Col. Joseph D. McFall, who has been selected for the grade of brigadier general, vice commander, Third Air Force and 17th Expeditionary Air Force, United States Air Forces in Europe, Ramstein Air Base, Germany, to special assistant to the vice chief of staff, Office of the Vice Chief of Staff, Headquarters United States Air Force, Pentagon, Washington, District of Columbia. 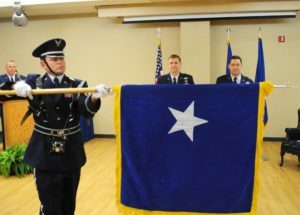 Col. Christopher J. Niemi, who has been selected for the grade of brigadier general, commander, 3d Wing, Pacific Air Forces, Joint Base Elmendorf-Richardson, Alaska, to commander, Jeanne M. Holm Center for Officer Accessions and Citizen Development, Air Education and Training Command, Maxwell Air Force Base, Alabama. Col. Susan J. Pietrykowski, who has been selected for the grade of brigadier general, deputy command surgeon, Headquarters Air Combat Command, Joint Base Langley-Eustis, Virginia, to director, manpower, personnel and resources, and chief, Medical Service Corps, Office of the Surgeon General, Headquarters United States Air Force, Falls Church, Virginia. Col. Clark J. Quinn, who has been selected for the grade of brigadier general, chief, Strategic Planning Integration Division, deputy chief of staff, plans, programs and requirements, Headquarters United States Air Force, Pentagon, Washington, District of Columbia, to director, CJ35, future operations, Headquarters Resolute Support, United States Central Command, Kabul, Afghanistan. Col. George M. Reynolds, who has been selected for the grade of brigadier general, military fellow, Council on Foreign Relations, Air Force Research Institute, New York, New York, to vice commander, 25th Air Force, Air Combat Command, Joint Base San Antonio-Lackland, Texas. Col. Douglas A. Schiess, who has been selected for the grade of brigadier general, senior military assistant to the under secretary of the Air Force, Office of the Secretary of the Air Force, Pentagon, Washington, District of Columbia, to commander, 45th Space Wing and director, Eastern Range, Air Force Space Command, Patrick Air Force Base, Florida. Col. Sharon A. Shaffer, who has been selected for the grade of brigadier general, staff judge advocate, Headquarters Air Combat Command, Joint Base Langley-Eustis, Virginia, to commander, Air Force Legal Operations Agency, Office of the Judge Advocate General, Headquarters United States Air Force, Joint Base Andrews, Maryland. Col. David W. Snoddy, who has been selected for the grade of brigadier general, executive assistant to the director, National Security Agency; chief, Central Security Service; and commander, United States Cyber Command, Fort George Meade, Maryland, to vice commander, 24th Air Force, Air Force Space Command ,and deputy commander, Air Forces Cyber, United States Cyber Command, Joint Base San Antonio-Lackland, Texas. Col. Adrian L. Spain, who has been selected for the grade of brigadier general, executive assistant to the commander, United States Northern Command/commander, North American Aerospace Defense Command, Peterson Air Force Base, Colorado, to commander, 380th Air Expeditionary Wing, Air Combat Command, Al Dhafra Air Base, United Arab Emirates. Col. Ernest J. Teichert III, who has been selected for the grade of brigadier general, commander, 11th Wing, Air Force District of Washington, Joint Base Andrews, Maryland, to commander, 412th Test Wing, Air Force Test Center, Air Force Materiel Command, Edwards Air Force Base, California. Maj. Gen. Rodney D. Fogg, deputy chief of staff for logistics and operations, U.S. Army Materiel Command, Redstone Arsenal, Alabama, to commanding general, U.S. Army Combined Arms Support Command/Sustainment Center of Excellence and Fort Lee, Fort Lee, Virginia. Maj. Gen. Robert A. Karmazin, U.S. Army Reserve, deputy commander, mobilization and reserve affairs (Individual Mobilization Augmentee), U.S. Special Operations Command, MacDill Air Force Base, Florida, to director, J7/9, U.S. Special Operations Command, MacDill Air Force Base, Florida. Brig. Gen. William B. Dyer, U.S. Army Reserve, assistant judge advocate general, operations (Individual Mobilization Augmentee), Office of the Judge Advocate General, Washington, District of Columbia, to commander, Rule of Law Field Force; and commander, National Atlantic Treaty Organization, Rule of Law Field Support Mission, Afghanistan. Brig. Gen. John B. Hashem, U.S. Army Reserve, director (Individual Mobilization Augmentee), Army Reserve Engagement Cell; and deputy commanding general – support, U.S. Army North, Fort Sam Houston, Texas, to deputy director, J-5, U.S. Africa Command, Germany. Brig. Gen. Susan E. Henderson, U.S. Army Reserve, deputy commanding general (Troop Program Unit), 79th Theater Sustainment Command, Los Alamitos, California, to director, CJ4, Combined Joint Task Force-Operation Inherent Resolve, Operation Inherent Resolve, Kuwait. Brig. Gen. John F. Hussey, U.S. Army Reserve, commander (Troop Program Unit), Great Lakes Division, 75th Training Command, Fort Sheridan, Illinois, to deputy commander, Joint Task Force-Guantanamo, U.S. Southern Command, Cuba. Brig. Gen. Isaac Johnson Jr., U.S. Army Reserve, chief of staff (Troop Program Unit), 350th Civil Affairs Command, Pensacola, Florida, to director of civil affairs and civilian operations, C9, U.S. Forces Korea, Korea. Brig. Gen. Robert G. Michnowicz, U.S. Army Reserve, deputy commanding general (Individual Mobilization Augmentee), U.S. Army Intelligence and Security Command, Fort Belvoir, Virginia, to mobilization assistant to the director of intelligence (Individual Mobilization Augmentee), J-2, U.S. Indo-Pacific Command, Honolulu, Hawaii. Brig. Gen. Christopher O. Mohan, commanding general, 3d Sustainment Command (Expeditionary), Fort Bragg, North Carolina, to deputy chief of staff for logistics and operations, U.S. Army Materiel Command, Redstone Arsenal, Alabama. Col. (Promotable) James M. Smith, executive officer to the commander, U.S. Transportation Command, Scott Air Force Base, Illinois, to commanding general, 3d Sustainment Command (Expeditionary), Fort Bragg, North Carolina. Brig. Gen. Michele H. Bredenkamp, chief, Intelligence Division, Force Development Directorate, Office of the Deputy Chief of Staff, G-8, U.S. Army, Washington, District of Columbia, to deputy director, program analysis and evaluation, Office of the Deputy Chief of Staff, G-8, U.S. Army, Washington, District of Columbia. Brig. Gen. Patrick J. Donahoe, deputy commanding general, 10th Mountain Division (Light), Fort Drum, New York, to deputy commanding general (operations), Eighth Army, Republic of Korea. Brig. Gen. Brian S. Eifler, deputy commanding general (operations), 10th Mountain Division (Light); and director, CJ3, Combined Joint Task Force-Operation Inherent Resolve, Operation Inherent Resolve, Iraq, to chief, Legislative Liaison, Office of the Secretary of the Army, Washington, District of Columbia. Brig. Gen. Frederick M. O’Donnell, director, Army Strategic Education Program, U.S. Army War College, Carlisle Barracks, Pennsylvania, to deputy commanding general, 82d Airborne Division, Fort Bragg, North Carolina. Col. (Promotable) Christine A. Beeler to deputy commander, U.S. Army Contracting Command, Redstone Arsenal, Alabama. She most recently served as deputy director of contracting, U.S. Army Corps of Engineers, Washington, District of Columbia. Col. (Promotable) Amy E. Hannah, chief of public affairs, Supreme Headquarters Allied Powers Europe, Belgium, to director, Army Marketing Research Task Force, Office of the Assistant Secretary of the Army (Manpower and Reserve Affairs), Washington, District of Columbia. Col. (Promotable) Gavin A. Lawrence to director of readiness, strategy, and operations, Office of the Deputy Chief of Staff, G-4, U.S. Army, Washington, District of Columbia. He most recently served as the executive officer to the deputy chief of staff, G-4, U.S. Army, Washington, District of Columbia. Col. (Promotable) Christopher R. Norrie to deputy commander, 1st Cavalry Division, Fort Hood, Texas. He most recently served as commander, Operations Group, National Training Center, Fort Irwin, California. Col. (Promotable) Jeth B. Rey, executive officer to the chief, information officer/G-6, Office of the Secretary of the Army, Washington, District of Columbia, to director of operations, G-3, U.S. Army Cyber Command, Fort Belvoir, Virginia. Major General Viet X. Luong, deputy commanding general (operations), Eighth Army, Republic of Korea, to commanding general, United States Army Japan and I Corps (Forward), Japan. Brigadier General David M. Hamilton to deputy chief of staff for operations, Allied Rapid Reaction Corps, North Atlantic Treaty Organization, United Kingdom. He most recently served as deputy commanding general (support), 3d Infantry Division, Fort Stewart, Georgia. Brigadier General Robert A. Rasch, Jr., deputy program executive officer, missiles and space, Redstone Arsenal, Alabama, to program executive officer, missiles and space, Redstone Arsenal, Alabama. Maj. Gen. Charles A. Flynn to assistant deputy chief of staff, G-3/5/7, U.S. Army, Washington, District of Columbia. He most recently served as deputy commanding general, U.S. Army Pacific Command, Fort Shafter, Hawaii. Maj. Gen. Mark W. Gillette, deputy director for strategic planning and policy, J-5, Camp H. M. Smith, Hawaii, to chief of staff, United Nations Command, U.S. Forces, Republic of Korea. Maj. Gen. Lewis G. Irwin, U.S. Army Reserve, deputy chief of Army Reserve (Individual Mobilization Augmentee), Office of the Chief of Army Reserve, Washington, District of Columbia, to commandant, Joint Forces Staff College, National Defense University, Norfolk, Virginia. Maj. Gen. Michael E. Kurilla, commanding general, 82d Airborne Division, Fort Bragg, North Carolina, to chief of staff, U.S. Central Command, MacDill Air Force Base, Florida. Maj. Gen. A.C. Roper Jr., U.S. Army Reserve, commanding general (Troop Program Unit), 76th U.S. Army Reserve Operational Response Command, Salt Lake City, Utah, to deputy chief of Army Reserve (Individual Mobilization Augmentee), Office of the Chief of Army Reserve, Washington, District of Columbia. Maj. Gen. Robert P. White, commanding general, 1st Armored Division and Fort Bliss, Fort Bliss, Texas, to director, J-3, U.S. European Command, Germany. Brig. Gen. Windsor S. Buzza, U.S. Army Reserve, deputy commander (Troop Program Unit), 84th Training Command, Fort Knox, Kentucky, to commanding general (Troop Program Unit), 91st Training Division (Operations), Fort Hunter-Liggett, California. Brig. Gen. Jeffrey C. Coggin, U.S. Army Reserve, commander (Troop Program Unit), 350th Civil Affairs Command, Pensacola, Florida, to deputy commanding general (Troop Program Unit), U.S. Army Civil Affairs and Psychological Operations Command, Fort Bragg, North Carolina. Brig. Gen. Mark E. Black, U.S. Army Reserve, deputy commander (Troop Program Unit), 108th Training Command (Initial Entry Training), Charlotte, North Carolina, to commander (Troop Program Unit), 350th Civil Affairs Command, Pensacola, Florida. Brig. Gen. Nikki L. Griffin Olive, U.S. Army Reserve, deputy commander – Signal (Troop Program Unit), 335th Signal Command (Theater), East Point, Georgia, to commanding general (Troop Program Unit), 335th Signal Command (Theater), Operational Command Post (Forward), Kuwait. Brig. Gen. Gregory J. Mosser, U.S. Army Reserve, commander (Troop Program Unit), 364th Sustainment Command (Expeditionary), Marysville, Washington, to assistant to the deputy commanding general – Readiness (Individual Mobilization Augmentee), U.S. Army Reserve Command, Fort Bragg, North Carolina. Brig. Gen. Dion B. Moten, U.S. Army Reserve, deputy commanding general (Troop Program Unit), 81st Readiness Division, Fort Jackson, South Carolina, to deputy commander – Signal (Troop Program Unit), 335th Signal Command (Theater), East Point, Georgia. Brig. Gen. Alberto C. Rosende, U.S. Army Reserve, assistant to the deputy commanding general – Readiness (Individual Mobilization Augmentee), U.S. Army Reserve Command, Fort Bragg, North Carolina, to chief of staff (Individual Mobilization Augmentee), U.S. Army Reserve Command, Fort Bragg, North Carolina. Col. (Promotable) Shan K. Bagby to deputy chief of staff for support, U.S. Army Medical Command; and chief of the Dental Corps, Falls Church, Virginia. He most recently served as deputy chief of staff, U.S. Army Medical Command, Falls Church, Virginia. Col. (Promotable) Wendy L. Harter to command surgeon, U.S. Army Forces Command, Fort Bragg, North Carolina. She most recently served as commander, 65th Medical Brigade, Eighth Army, Republic of Korea. Col. (Promotable) Michael L. Place, commander, Madigan Army Medical Center, U.S. Army Medical Command, Joint Base Lewis McChord, Washington, to deputy commanding general, Regional Health Command-Pacific; command surgeon, U.S. Army Pacific; and senior market manager, Hawaii Enhanced Multi-Service Market, Honolulu, Hawaii. Maj. Gen. Christopher F. Bentley, senior advisor to the Ministry of Defense, U.S. Forces-Afghanistan, Operation Freedom’s Sentinel, Afghanistan, to director, Joint Improvised-Threat Defeat Organization, Defense Threat Reduction Agency, Fort Belvoir, Virginia. Maj. Gen. James J. Mingus, director, Mission Command Center of Excellence, U.S. Army Combined Arms Center, Fort Leavenworth, Kansas, to commanding general, 82d Airborne Division, Fort Bragg, North Carolina. Brig. Gen. Jonathan P. Braga, director, CJ3, Combined Joint Task Force-Operation Inherent Resolve, Operation Inherent Resolve, Iraq, to commander, Special Operations Command Pacific, U.S. Special Operations Command, Camp Smith, Hawaii. Brig. Gen. Antonio M. Fletcher, director, J-5, U.S. Southern Command, Doral, Florida, to commander, Special Operations Command South, U.S. Special Operations Command, Homestead Air Reserve Base, Florida. Brig. Gen. Garrick M. Harmon, deputy director, strategy, plans and policy, Office of the Deputy Chief of Staff, G-3/5/7, U.S. Army, Washington, District of Columbia, to senior defense official and defense attaché, U.S. Defense Attaché Office, Russia. Brig. Gen. Johnnie L. Johnson Jr., deputy director, program analysis and evaluation, Office of the Deputy Chief of Staff, G-8, U.S. Army, Washington, District of Columbia, to deputy director for operations, U.S. Central Command, MacDill Air Force Base, Florida. Brig. Gen. John S. Laskodi, commander, Defense Logistics Agency-Distribution, Defense Logistics Agency, New Cumberland, Pennsylvania, to director, joint and integration, Office of the Deputy Chief of Staff, G-8, U.S. Army, Washington, District of Columbia. Brig. Gen. John C. Ulrich, commanding general, U.S. Army Operational Test Command, Fort Hood, Texas, to director, force development, Office of the Deputy Chief of Staff, G-8, U.S. Army, Washington, District of Columbia. Maj. Gen. Sean M. Jenkins, deputy commanding general, Installation Management Command, Joint Base San Antonio, Texas, to chief, Office of Security Cooperation-Iraq, Iraq. Maj. Gen. Gary W. Johnston, deputy chief of staff, intelligence, Resolute Support Mission, North Atlantic Treaty Organization; and director, J-2, U.S. Forces-Afghanistan, Operation Freedom’s Sentinel, Afghanistan, to commanding general, U.S. Army Intelligence and Security Command, Fort Belvoir, Virginia. Maj. Gen. John S. Kolasheski, deputy chief of staff, G-3/5/7, U.S. Army Forces Command, Fort Bragg, North Carolina, to commanding general, 1st Infantry Division and Fort Riley, Fort Riley, Kansas. Maj. Gen. Patrick E. Matlock, director of training, Office of the Deputy Chief of Staff, G-3/5/7, U.S. Army, Washington, District of Columbia, to commanding general, 1st Armored Division and Fort Bliss, Fort Bliss, Texas. Brig. Gen. (Promotable) Edwin J. Deedrick Jr., assistant commander-support, Joint Special Operations Command, U.S. Special Operations Command, Fort Bragg, North Carolina, to commanding general, 1st Special Forces Command (Airborne), Fort Bragg, North Carolina. Brig. Gen. Brian R. Bisacre, commanding general, Army Corrections Command; and deputy commanding general, U.S. Army Criminal Investigation Command, Arlington, Virginia, to commandant, U.S. Army Military Police School, U.S. Army Maneuver Support Center of Excellence, Fort Leonard Wood, Missouri. Brig. Gen. Charles D. Costanza, deputy commanding general (support), 1st Armored Division, Fort Bliss, Texas, to director of training, Office of the Deputy Chief of Staff, G-3/5/7, U.S. Army, Washington, District of Columbia. Brig. Gen. Patrick B. Roberson, deputy chief of staff, G-3/5/7, U.S. Army Reserve Command, Fort Bragg, North Carolina, to commander, Special Operations Joint Task Force-Operation Inherent Resolve, Operation Inherent Resolve, Kuwait. Col. (Promotable) William D. Taylor, deputy commander (maneuver), 1st Cavalry Division, Fort Hood, Texas, to commanding general, U.S. Army Operational Test Command, Fort Hood, Texas. Maj. Gen. Christopher S. Ballard, commanding general, U.S. Army Intelligence and Security Command, Fort Belvoir, Virginia, to deputy director, Signals Intelligence Directorate, National Security Agency, Fort Meade, Maryland. Maj. Gen. Roger L. Cloutier Jr., chief of staff, U.S. Africa Command, Germany, to commanding general, U.S. Army Africa/Southern European Task Force, Italy. Maj. Gen. John P. Johnson, commanding general, U.S. Army Training Center and Fort Jackson, Fort Jackson, South Carolina, to deputy commanding general, U.S. Army Pacific, Fort Shafter, Hawaii. Maj. Gen. James B. Linder, commander, Special Operations Joint Task Force-Afghanistan, U.S. Forces-Afghanistan/Special Operations Component Command-Afghanistan, Resolute Support Mission, Operation Freedom’s Sentinel, Afghanistan, to chief of staff, U.S. Special Operations Command, MacDill Air Force Base, Florida. Maj. Gen. Todd B. McCaffrey, commanding general, First Army Division East, Fort Knox, Kentucky, to chief of staff, U.S. Africa Command, Germany. Maj. Gen. Timothy P. McGuire, deputy commanding general, U.S. Army Europe, Germany, to deputy commanding general, Installation Management Command, Joint Base San Antonio, Texas. Maj. Gen. Terrence J. McKenrick, deputy commanding general, U.S. Army Central, Kuwait, to commanding general, First Army Division East, Fort Knox, Kentucky. Maj. Gen. Frank M. Muth, program manager, Saudi Arabian National Guard Modernization Program, Saudi Arabia, to commanding general, U.S. Army Recruiting Command, Fort Knox, Kentucky. Maj. Gen. Christopher J. Sharpsten, director, CJ4, Combined Joint Task Force-Operation Inherent Resolve, Operation Inherent Resolve, Kuwait, to director, J-4, U.S. Central Command, MacDill Air Force Base, Florida. Maj. Gen. Scott A. Spellmon, commanding general, Northwestern Division, U.S. Army Corps of Engineers, Portland, Oregon, to deputy commanding general for civil and emergency operations, U.S. Army Corps of Engineers, Washington, District of Columbia. Maj. Gen. Jeffrey L. Milhorn, deputy commanding general, I Corps, Joint Base Lewis-McChord, Washington, to commanding general, North Atlantic Division, U.S. Army Corps of Engineers, Brooklyn, New York. Brig. Gen. (promotable) William H. Graham Jr., commanding general, North Atlantic Division, U.S. Army Corps of Engineers, Brooklyn, New York, to deputy commanding general, I Corps, Joint Base Lewis-McChord, Washington. Brig. Gen. Antonio A. Aguto Jr., commanding general, 7th Army Training Command, U.S. Army Europe, Germany, to deputy chief of staff, G-3/5/7, U.S. Army Forces Command, Fort Bragg, North Carolina. Brig. Gen. Maria B. Barrett, deputy director of operations, J-3, U.S. Cyber Command, Fort Meade, Maryland, to commanding general, U.S. Army Network Enterprise Technology Command, Fort Huachuca, Arizona. Brig. Gen. Milford H. Beagle Jr., deputy commanding general (Support), 10th Mountain Division (Light), Fort Drum, New York, to commanding general, U.S. Army Training Center and Fort Jackson, Fort Jackson, South Carolina. Brig. Gen. Sean C. Bernabe, deputy commanding general, 3d Infantry Division, Fort Stewart, Georgia, to deputy chief of staff, G-3, U.S. Army Europe, Germany. Brig. Gen. James P. Bienlien, director, Joint and Integration, Office of the Deputy Chief of Staff, G-8, U.S. Army, Washington, District of Columbia, to director, Requirements Integration Directorate, Army Capabilities Integration Center, U.S. Army Training and Doctrine Command, Joint Base Langley-Eustis, Virginia. Brig. Gen. Jonathan P. Braga, director, CJ3, Combined Joint Task Force-Operation Inherent Resolve, Operation Inherent Resolve, Kuwait, to deputy commanding general, 82d Airborne Division, Fort Bragg, North Carolina. Brig. Gen. Richard R. Coffman, deputy commanding general (Maneuver), 1st Infantry Division, Fort Riley, Kansas, to director, Next Generation Combat Vehicle Cross Functional Team, Fort Benning, Georgia. Brig. Gen. Clement S. Coward Jr., deputy director, Force Protection, J-8, Joint Staff, Washington, District of Columbia, to commanding general, 32d Army Air and Missile Defense Command, Fort Bliss, Texas. Brig. Gen. Douglas C. Crissman, deputy commanding general, 3rd (United Kingdom) Division, United Kingdom, to director, Mission Command Center of Excellence, U.S. Army Combined Arms Center, Fort Leavenworth, Kansas. Brig. Gen. Timothy J. Daugherty, deputy chief of staff, G-3, U.S. Army Europe, Germany, to commanding general, U.S. Army Combat Readiness Center; and director of Army Safety, Fort Rucker, Alabama. Brig. Gen. Johnny K. Davis, deputy commanding general (Operations), 25th Infantry Division, Schofield Barracks, Hawaii, to commanding general, U.S. Army Joint Modernization Command, Army Capabilities Integration Center, U.S. Army Training and Doctrine Command, Fort Bliss, Texas. Brig. Gen. Christopher T. Donahue, commandant, U.S. Army Infantry School, U.S. Army Maneuver Center of Excellence; and director, Future Soldier Lethality Cross Functional Team, Fort Benning, Georgia, to deputy director for special operations and counter-terrorism, J-3, Joint Staff, Washington, District of Columbia. Brig. Gen. Bradley K. Dreyer, director for resource management, Installation Management Command, Joint Base San Antonio, Texas, to deputy chief of staff, G-8; and director, resource management, U.S. Army Central, Shaw Air Force Base, South Carolina. Brig. Gen. Robert L. Edmonson II, commandant, U.S. Army Signal School, Fort Gordon, Georgia, to deputy chief of staff, G-6, U.S. Army Forces Command, Fort Bragg, North Carolina. Brig. Gen. David J. Francis, commanding general, U.S. Army Combat Readiness Center; and director of Army Safety, Fort Rucker, Alabama, to director, Army Aviation, Office of the Deputy Chief of Staff, G-3/5/7, U.S. Army, Washington, District of Columbia. Brig. Gen. Sean A. Gainey, commanding general, 94th Army Air and Missile Defense Command, Fort Shafter, Hawaii, to deputy director, Force Protection, J-8, Joint Staff, Washington, District of Columbia. Brig. Gen. D. Peter Helmlinger, commanding general, South Pacific Division, U.S. Army Corps of Engineers, San Francisco, California, to commanding general, Northwestern Division, U.S. Army Corps of Engineers, Portland, Oregon. Brig. Gen. David C. Hill, commanding general, Transatlantic Division, U.S. Army Corps of Engineers, Winchester, Virginia, to deputy commanding general, U.S. Army Central, Shaw Air Force Base, South Carolina. Brig. Gen. David M. Hodne, deputy commanding general (Maneuver), 4th Infantry Division, Fort Carson, Colorado, to commandant, U.S. Army Infantry School, U.S. Army Maneuver Center of Excellence; and director, Future Soldier Lethality Cross Functional Team, Fort Benning, Georgia. Brig. Gen. Jonathan E. Howerton, deputy commanding general (Maneuver), 2d Infantry Division (Combined), Eighth Army, Republic of Korea, to deputy chief of staff, G-3/5/7, U.S. Army Pacific, Fort Shafter, Hawaii. Brig. Gen. David T. Isaacson, deputy chief of staff, G-6, U.S. Army Forces Command, Fort Bragg, North Carolina, to director of architecture, operations, networks and space, Office of the Chief Information Officer/G-6, U.S. Army, Washington, District of Columbia. Brig. Gen. Mark H. Landes, deputy commanding general, 1st Armored Division, Fort Bliss, Texas, to director, Security Force Assistance Directorate, G-3/5/7, U.S. Army Forces Command, Fort Bragg, North Carolina. Brig. Gen. Christopher C. LaNeve, deputy commanding general (Operations), 82d Airborne Division, Fort Bragg, North Carolina, to commanding general, 7th Army Training Command, U.S. Army Europe, Germany. Brig. Gen. Stephen J. Maranian, commandant, U.S. Army Field Artillery School, U.S. Army Fires Center of Excellence: and director, Future Long Range Precision Fires Cross Functional Team, Fort Sill, Oklahoma, to deputy commanding general, 2d Infantry Division (Combined), Eighth Army, Republic of Korea. Brig. Gen. Donna W. Martin, commandant, U.S. Army Military Police School, U.S. Army Maneuver Support Center of Excellence, Fort Leonard Wood, Missouri, to commanding general, U.S. Army Maneuver Support Center of Excellence, and Fort Leonard Wood, Fort Leonard Wood, Missouri. Brig. Gen. Michael T. Morrissey, assistant chief of staff, G-3, U.S. Army Central, Shaw Air Force Base, South Carolina, to commanding general, 94th Army Air and Missile Defense Command, Fort Shafter, Hawaii. Brig. Gen. Paul H. Pardew, commanding general, U.S. Army Expeditionary Contracting Command, Redstone Arsenal, Alabama, to commanding general, Army Contracting Command, Redstone Arsenal, Alabama. Brig. Gen. John B. Richardson IV, deputy commanding general (Maneuver), 3d Infantry Division, Hunter Army Airfield, Georgia, to director, operations, readiness and mobilization, Office of the Deputy Chief of Staff, G-3/5/7, U.S. Army, Washington, District of Columbia. Brig. Gen. Andrew M. Rohling, deputy chief of staff for operations, Allied Rapid Reaction Corps, North Atlantic Treaty Organization, United Kingdom, to deputy commanding general, U.S. Army Europe, Germany. Brig. Gen. Douglas A. Sims II, director, operations, readiness and mobilization, Office of the Deputy Chief of Staff, G-3/5/7, U.S. Army, Washington, District of Columbia, to deputy director for regional operations and force management, J-35, Joint Staff, Washington, District of Columbia. Brig. Gen. Matthew J. Van Wagenen, deputy commanding general (Support), 1st Cavalry Division, Fort Hood, Texas, to deputy commanding general, 3rd (United Kingdom) Division, United Kingdom. Col. (Promotable) Christopher L. Eubank, director, J-6, U.S. Africa Command, Germany, to commandant, U.S. Army Signal School, Fort Gordon, Georgia. Maj. Gen. Michael T. Brewer, director, strategic plans, programs and analyses, Headquarters Air Force Materiel Command, Wright-Patterson Air Force Base, Ohio, to commander, Air Force Operational Test and Evaluation Center, Kirtland Air Force Base, New Mexico. Maj. Gen. David S. Nahom, deputy commander, U.S. Air Forces Central Command; and deputy, Combined Forces Air Component Commander, U.S. Central Command, Al Udeid Air Base, Qatar, to director of programs, Deputy Chief of Staff for Strategic Plans and Requirements, Pentagon, Washington, District of Columbia. Brig. Gen. Sean M. Farrell, director, strategic plans, programs and requirements, Headquarters Air Force Special Operations Command, Hurlbert Field, Florida, to director, Air Force Security Assistance and Cooperation Directorate, Air Force Life Cycle Management Center, Air Force Materiel Command, Wright-Patterson Air Force Base, Ohio. Brig. Gen. Gerald V. Goodfellow, director, Nuclear Enterprise Support Directorate, J-10, Defense Threat Reduction Agency, Fort Belvoir, Virginia, to director, strategic plans, programs and requirements, Headquarters Air Force Global Strike Command, Barksdale Air Force Base, Louisiana. Brig. Gen. Cameron G. Holt, who has been selected for the grade of major general, commander, Air Force Installation Contracting Agency, Air Force Installation and Mission Support Center, Air Force Materiel Command, Wright-Patterson Air Force Base, Ohio, to deputy assistant secretary (contracting), Office of the Assistant Secretary of the Air Force for Acquisition, Pentagon, Washington, District of Columbia. Brig. Gen. Heather L. Pringle, commander, 502d Air Base Wing; and commander, Joint Base San Antonio, Air Education and Training Command, Joint Base San Antonio-Fort Sam Houston, Texas, to director, strategic plans, programs and analyses, Headquarters Air Force Materiel Command, Wright-Patterson Air Force Base, Ohio. Brig. Gen. John T. Wilcox II, director, strategic plans, programs and requirements, Headquarters Air Force Global Strike Command, Barksdale Air Force Base, Louisiana, to director, operations and communications, Headquarters Air Force Global Strike Command, Barksdale Air Force Base, Louisiana. Col. John J. Allen, who has been selected for the grade of brigadier general, director of staff, Headquarters Air Force Materiel Command, Wright-Patterson Air Force Base, Ohio, to director of civil engineering, Deputy Chief of Staff, Logistics, Installations and Force Protection, Headquarters U.S. Air Force, Pentagon, Washington, District of Columbia. Col. Alice W. Treviño, who has been selected for the grade of brigadier general, military assistant to the Deputy Secretary of Defense, Office of the Secretary of Defense, Pentagon, Washington, District of Columbia, to commander, Air Force Installation Contracting Agency, Air Force Installation and Mission Support Center, Air Force Materiel Command, Wright-Patterson Air Force Base, Ohio. Maj. Gen. Jeffrey B. Clark, director, healthcare operations, Defense Health Agency, Falls Church, Virginia, to deputy commanding general (Operations), U.S. Army Medical Command, Joint Base San Antonio, Texas. Maj. Gen. Daniel G. Mitchell, deputy chief of staff for logistics and operations, U.S. Army Materiel Command, Redstone Arsenal, Alabama, to commanding general, U.S. Army Tank-automotive and Armaments Command, Life Cycle Management Command, Warren, Michigan. Maj. Gen. Patrick D. Sargent, deputy commanding general (Operations), U.S. Army Medical Command, Joint Base San Antonio, Texas, to commanding general, U.S. Army Medical Department Center and School, Joint Base San Antonio, Texas. Maj. Gen. Frank W. Tate, director, Army Aviation, Office of the Deputy Chief of Staff, G-3/5/7, U.S. Army, Washington, District of Columbia, to senior advisor to the Minister of Defense, U.S. Forces-Afghanistan, Operation Freedom’s Sentinel, Afghanistan. Maj. Gen. John C. Thomson III, deputy commanding general, III Corps, Fort Hood, Texas, to director, J-3, U.S. European Command, Germany. Brig. Gen. (Promotable) Rodney D. Fogg, commandant, U.S. Army Quartermaster School, U.S. Army Sustainment Center of Excellence, Fort Lee, Virginia, to deputy chief of staff for logistics and operations, U.S. Army Materiel Command, Redstone Arsenal, Alabama. Brig. Gen. George N. Appenzeller, deputy commanding general, Regional Health Command-Pacific; and market manager, Puget Sound Enhanced Multi-Service Market, Joint Base Lewis-McChord, Washington, to commanding general, Brooke Army Medical Center; deputy commanding general, Regional Health Command-Central; and vice market manager, San Antonio Military Health System, Joint Base San Antonio, Texas. Brig. Gen. Maria A. Biank, director of operations, G-3, U.S. Army Cyber Command, Fort Belvoir, Virginia, to director, J-6, Cyber/C4, U.S. European Command, Germany. Brig. Gen. Telita Crosland, deputy chief of staff for operations, U.S. Army Medical Command, Falls Church, Virginia, to commanding general, Regional Health Command-Atlantic, Fort Belvoir, Virginia. Brig. Gen. R. Scott Dingle, commanding general, Regional Health Command-Atlantic, Fort Belvoir, Virginia, to deputy to the surgeon general; and deputy commanding general (Support), U.S. Army Medical Command, Falls Church, Virginia. Brig. Gen. Jeffrey W. Drushal, chief of transportation and commandant, U.S. Army Transportation School, U.S. Army Sustainment Center of Excellence, Fort Lee, Virginia, to commanding general, U.S. Army Security Assistance Command, Redstone Arsenal, Alabama. Brig. Gen. Raul E. Escribano, deputy assistant chief of staff, C/J-2, United Nations Command, Combined Forces Command, U.S. Forces Korea, to director, Intelligence Division, North Atlantic Treaty Organization International Military Staff, Belgium. Brig. Gen. John R. Evans Jr., commanding general, U.S. Army Special Operations Aviation Command, Fort Bragg, North Carolina, to commanding general, U.S. Army Cadet Command and Fort Knox, Fort Knox, Kentucky. Brig. Gen. Anthony R. Hale, director of intelligence, J-2, Joint Special Operations Command, Fort Bragg, North Carolina, to deputy chief of staff, intelligence, Resolute Support Mission, North Atlantic Treaty Organization; and deputy director, operations and support, J-2, U.S. Forces-Afghanistan, Operation Freedom’s Sentinel, Afghanistan. Brig. Gen. Jeffrey J. Johnson, commanding general, Brooke Army Medical Center; deputy commanding general, Regional Health Command-Central; and vice market manager, San Antonio Military Health System, Joint Base San Antonio, Texas, to commanding general, Regional Health Command-Central, Joint Base San Antonio, Texas. Brig. Gen. Kenneth L. Kamper, chief of staff, III Corps/Combined Joint Task Force-Operation Inherent Resolve, Operation Inherent Resolve, Kuwait, to deputy commanding general, III Corps, Fort Hood, Texas. Brig. Gen. John S. Laskodi, commander, Defense Logistics Agency-Distribution, Defense Logistics Agency, New Cumberland, Pennsylvania, to commander, Joint Munitions and Lethality, Life Cycle Management Command/Joint Munitions Command, Rock Island, Illinois. Brig. Gen. Dennis P. LeMaster, commanding general, Regional Health Command-Europe; command surgeon, U.S. Army Europe, Germany, to commanding general, Regional Health Command-Pacific; command surgeon, U.S. Army Pacific; and senior market manager, Hawaii Enhanced Multi-Service Market, Honolulu, Hawaii. Brig. Gen. Douglas M. McBride Jr., commanding general, 13th Sustainment Command (Expeditionary), Fort Hood, Texas, to commandant, U.S. Army Quartermaster School, U.S. Army Sustainment Center of Excellence, Fort Lee, Virginia. Brig. Gen. Joseph P. McGee, deputy commanding general (Operations), U.S. Army Cyber Command, Fort Belvoir, Virginia, to director, Talent Management Task Force, Office of the Deputy Chief of Staff, G-1, U.S. Army, Washington, District of Columbia. Brig. Gen. Stephen L. Michael, deputy chief of staff, G-3, U.S. Army Pacific, Fort Shafter, Hawaii, to deputy director for strategic planning and policy, J-5, U.S. Pacific Command, Camp H.M. Smith, Hawaii. Brig. Gen. Thomas A. Pugh, director, J-6, Cyber/C4, U.S. European Command, Germany, to commanding general, 7th Signal Command, Fort Gordon, Georgia. Brig. Gen. Michael E. Sloane, assistant program executive officer, Enterprise Information Systems, Fort Belvoir, Virginia, to program executive officer, Simulations, Training and Instrumentation, Orlando, Florida. Brig. Gen. Stephen G. Smith, deputy commanding general (Support), 1st Infantry Division, Fort Riley, Kansas, to commandant, U.S. Army Field Artillery School, U.S. Army Fires Center of Excellence; and director, Future Long Range Precision Fires Cross Functional Team, Fort Sill, Oklahoma. Brig. Gen. Ronald T. Stephens, deputy chief of staff for support, U.S. Army Medical Command, Falls Church, Virginia, to commanding general, Regional Health Command-Europe; command surgeon, U.S. Europe, Germany. Brig. Gen. Michael J. Talley, command surgeon, U.S. Army Forces Command, Fort Bragg, North Carolina, to deputy commanding general, Regional Health Command-Atlantic, Fort Belvoir, Virginia. Brig. Gen. Erik H. Torring III, deputy commanding general, Regional Health Command-Atlantic; and chief, U.S. Army Veterinary Corps, Fort Belvoir, Virginia, to deputy chief of staff for operations, U.S. Army Medical Command; and chief, U.S. Army Veterinary Corps, Falls Church, Virginia. Brig. Gen. Darren L. Werner, director, strategic logistics integration (G-4/5/7) Office of the Deputy Chief of Staff, G-4, U.S. Army, Washington, District of Columbia, to commanding general, 13th Sustainment Command (Expeditionary), Fort Hood, Texas. Maj. Gen. Albert M. Elton II, deputy director for special operations/counterterrorism, J-37, Joint Staff, Pentagon, Washington, District of Columbia, to commander, Special Operations Joint Task Force-Afghanistan; and commander, Headquarters North Atlantic Treaty Organization Special Operations Forces Component Command-Afghanistan, Bagram Air Base, Afghanistan. Maj. Gen. Barre R. Seguin, director, plans and programs, J-5, Headquarters U.S. Africa Command, Stuttgart-Mohringen, Germany, to commander, 9th Air and Space Expeditionary Task Force – Afghanistan; commander, North Atlantic Treaty Organization Air Command – Afghanistan; director, Air Forces Central Command’s Air Component Coordination Element for U.S. Forces – Afghanistan, Air Combat Command and Support of North Atlantic Treaty Organization’s Operation Resolute Support; and deputy commander – Air, U.S. Forces-Afghanistan, U.S. Central Command, Kabul, Afghanistan. Maj. Gen. Mark E. Weatherington, director, cyberspace operations, Headquarters North American Aerospace Defense Command and U.S. Northern Command, Peterson Air Force Base, Colorado, to deputy commander, Headquarters Air Education and Training Command, Joint Base San Antonio-Randolph, Texas. Brig. Gen. Charles S. Corcoran, who has been selected for the grade of major general, from deputy chief of staff, operations, Headquarters Allied Air Command, Allied Command Operations, North Atlantic Treaty Organization, Ramstein Air Base, Germany, to chief of staff, Headquarters U.S. Air Forces in Europe – Air Forces Africa, Ramstein Air Base, Germany. Brig. Gen. Stephen L. Davis, who has been selected for the grade of major general, from special assistant to the chief of staff, Headquarters U.S. Air Force, Pentagon, Washington, District of Columbia, to director, global operations, J-3, Headquarters U.S. Strategic Command, Offutt Air Force Base, Nebraska. Brig. Gen. Lee E. Payne, who has been selected for the grade of major general, from command surgeon, Headquarters Air Mobility Command, Scott Air Force Base, Illinois, to director, Healthcare Operations, Defense Health Agency, Falls Church, Virginia. Brig. Gen. Angela M. Cadwell, director, command, control, communications, and cyber systems (C4), Headquarters U.S. Transportation Command, Scott Air Force Base, Illinois, to director, cyberspace operations, Headquarters North American Aerospace Defense Command and U.S. Northern Command, Peterson Air Force Base, Colorado. Brig. Gen. Christopher D. Hill, director, logistics, engineering, and force protection, Headquarters Pacific Air Forces, Joint Base Pearl Harbor-Hickam, Hawaii, to commander, Oklahoma City Air Logistics Complex, Air Force Materiel Command, Tinker Air Force Base, Oklahoma. Brig. Gen. Tom D. Miller, commander, Oklahoma City Air Logistics Complex, Air Force Materiel Command, Tinker Air Force Base, Oklahoma, to director, logistics, engineering, and force protection, Headquarters Air Combat Command, Joint Base Langley-Eustis, Virginia. Brig. Gen. Mark H. Slocum, director, U.S. Air Forces in Europe – United Kingdom, U.S. Air Forces in Europe – Air Forces Africa, Royal Air Force Mildenhall, England, to inspector general, Headquarters Air Combat Command, Joint Base Langley-Eustis, Virginia. Col. Andrew P. Hansen, who has been selected for the grade of brigadier general, from director, joint and national security council matters, Deputy Chief of Staff, Operations, Headquarters U.S. Air Force, Pentagon, Washington, District of Columbia, to director, U.S. Air Forces in Europe – United Kingdom, U.S. Air Forces in Europe – Air Forces Africa, Royal Air Force Mildenhall, England. Col. Thomas K. Hensley, who has been selected for the grade of brigadier general, from senior military assistant to the Under Secretary of Defense (Intelligence), Office of the Secretary of Defense, Pentagon, Washington, District of Columbia, to director, CJ2, Combined Joint Task Force-Operation Inherent Resolve, U.S. Central Command, Southwest Asia. Col. Jeffrey R. King, who has been selected for the grade of brigadier general, from deputy director, resource integration, Deputy Chief of Staff, Logistics, Engineering and Force Protection, Headquarters U.S. Air Force, Pentagon, Washington, District of Columbia, to director, logistics, engineering and force protection, Headquarters Pacific Air Forces, Joint Base Pearl Harbor-Hickam, Hawaii. Col. Robert K. Lyman, who has been selected for the grade of brigadier general, from director of communications, Headquarters Joint Special Operations Command, U.S. Special Operations Command, Fort Bragg, North Carolina, to director, command, control, communication, and cyber systems (C4), Headquarters U.S. Transportation Command, Scott Air Force Base, Illinois. Col. David B. Lyons, who has been selected for the grade of brigadier general, from vice commander, 12th Air Force, Air Combat Command, Davis-Monthan Air Force Base, Arizona, to commander, 455th Air Expeditionary Wing, Air Combat Command, Bagram Air Base, Afghanistan. Col. Robert J. Marks, who has been selected for the grade of brigadier general, from command surgeon, Headquarters Air Force Materiel Command, Wright-Patterson Air Force Base, Ohio, to command surgeon, Headquarters Air Mobility Command, Scott Air Force Base, Illinois; and chief of the Air Force Nurse Corps, Office of the Surgeon General of the Air Force, Headquarters U.S. Air Force, Pentagon, Washington, District of Columbia. Brig. Gen. Robert I. Miller, who has been selected for the grade of major general, from commander, Air Force Medical Operations Agency, Office of the Surgeon General of the Air Force, Headquarters U.S. Air Force, Joint Base San Antonio-Lackland, Texas, to director, medical operations and research, Office of the Surgeon General of the Air Force, Headquarters U.S. Air Force, Falls Church, Virginia. Brig. Gen. Gentry W. Boswell, deputy director of operations, Headquarters Air Force Global Strike Command, Barksdale Air Force Base, Louisiana, to commander, 36th Wing, Pacific Air Forces, Andersen Air Force Base, Guam. Brig. Gen. Christopher E. Craige, who has been selected for the grade of major general, from chief of staff, Headquarters U.S. Air Forces in Europe – Air Forces Africa, Ramstein Air Base, Germany, to director for plans and programs, Headquarters U.S. Africa Command, Stuttgart-Mohringen, Germany. Brig. Gen. Peter J. Lambert, who has been selected for the grade of major general, from director of intelligence, Headquarters Air Combat Command, Joint Base Langley-Eustis, Virginia, to deputy commander, Joint Functional Component Command, Intelligence, Surveillance, and Reconnaissance, Pentagon, Washington, District of Columbia. Brig. Gen. Kirk W. Smith, who has been selected for the grade of major general, from deputy commanding general, operations, North Atlantic Treaty Organization Special Operations Component Command/Special Operations Joint Task Force-Afghanistan, U.S. Forces-Afghanistan, Bagram, Afghanistan, to commander, Special Operations Command Europe; and director, special operations, U.S. European Command, Stuttgart, Germany. Brig. Gen. Joel D. Jackson, special assistant to the commander, Air Mobility Command, Scott Air Force Base, Illinois, to chief, Joint Operations Center, Headquarters U.S. Transportation Command, Scott Air Force Base, Illinois. Col. Michael E. Martin, who has been selected for the grade of brigadier general, from commander, 24th Special Operations Wing, Air Force Special Operations Command, Hurlburt Field, Florida, to director, Integrated Resilience Office, Deputy Chief of Staff for Manpower, Personnel and Services, Headquarters U.S. Air Force, Pentagon, Washington, District of Columbia. Major General Gary M. Brito, commanding general, Joint Readiness Training Center and Fort Polk, Fort Polk, Louisiana, to commanding general, United States Army Maneuver Center of Excellence and Fort Benning, Fort Benning, Georgia. Major General Susan A. Davidson, commanding general, 8th Theater Sustainment Command, Fort Shafter, Hawaii, to director for logistics, engineering and security cooperation, J-4, United States Pacific Command, Camp H. M. Smith, Hawaii. Major General John A. George, director, Force Development, G-8, United States Army, Washington, District of Columbia, to Deputy Director/Chief of Staff, Army Capabilities Integration Center, Joint Base Langley-Eustis, Virginia. Major General Donald E. Jackson, Jr., deputy commanding general for civil and emergency operations, United States Army Corps of Engineers, Washington, District of Columbia, to deputy inspector general, Office of the Inspector General, United States Army, Washington, District of Columbia. Major General Mark C. Schwartz, commander, Special Operations Command Europe, United States Special Operations Command and director, Special Operations, United States European Command, Germany, to deputy commander, Joint Special Operations Command, United States Special Operations Command, Fort Bragg, North Carolina. Brigadier General (Promotable) Daniel R. Walrath, vice deputy director for nuclear, homeland defense and current operations, J-3, Joint Staff, Washington, District of Columbia, to deputy chief of staff, Operations, Resolute Support Mission, North Atlantic Treaty Organization and United States Forces-Afghanistan, OPERATION FREEDOM’S SENTINEL, Afghanistan. Brigadier General Jennifer G. Buckner, deputy commander, Joint Task Force-ARES, United States Cyber Command, Fort Meade, Maryland, to director of Cyber, G-3/5/7, United States Army, Washington, District of Columbia. Brigadier General Patrick D. Frank, deputy commanding general, United States Army Cadet Command, Fort Knox, Kentucky, to commanding general, Joint Readiness Training Center and Fort Polk, Fort Polk, Louisiana. Brigadier General Charles R. Hamilton, deputy assistant chief of staff, C/J-4, United Nations Command/Combined Forces Command/United States Forces Korea, Republic of Korea, to commanding general, 8th Theater Sustainment Command, Fort Shafter, Hawaii. Brigadier General Heidi J. Hoyle, commander, Joint Munitions and Lethality, Life Cycle Management Command/Joint Munitions Command, Rock Island, Illinois, to commandant, United States Army Ordnance School, United States Army Sustainment Center of Excellence, Fort Lee, Virginia. Brigadier General Joel K. Tyler, commanding general, United States Army Joint Modernization Command, Army Capabilities Integration Center, United States Army Training and Doctrine Command, Fort Bliss, Texas, to commanding general, United States Army Test and Evaluation Command, Aberdeen Proving Ground, Maryland. Brigadier General David Wilson, commandant, United States Army Ordnance School, United States Army Sustainment Center of Excellence, Fort Lee, Virginia, to deputy assistant chief of staff, C/J-4, United Nations Command/Combined Forces Command/United States Forces Korea, Republic of Korea. Colonel (Promotable) Otto K. Liller, deputy commander (Operations), 7th Infantry Division, Joint Base Lewis-McChord, Washington, to deputy commander, Special Operations Joint Task Force-Afghanistan, OPERATION FREEDOM’S SENTINEL, Afghanistan. Maj. Gen. Clinton E. Crosier, director, operational capability requirements, Deputy Chief of Staff for Strategic Plans and Requirements, Headquarters U.S. Air Force, Pentagon, Washington, District of Columbia, to director, Air Force Warfighting Integration Capability, Deputy Chief of Staff for Strategic Plans and Requirements, Headquarters U.S. Air Force, Pentagon, Washington, District of Columbia. Brig. Gen. Sean L. Murphy, who has been selected for the grade of major general, command surgeon, Headquarters Air Combat Command, Joint Base Langley-Eustis, Virginia, to deputy surgeon general of the Air Force, Office of the Air Force Surgeon General, Headquarters U.S. Air Force, Pentagon, Washington, District of Columbia. Brig. Gen. Samuel C. Hinote, deputy chief, Office of Security Cooperation – Iraq, U.S. Central Command, Baghdad, Iraq, to deputy director, Air Force Warfighting Integration Capability, Deputy Chief of Staff for Strategic Plans and Requirements, Headquarters U.S. Air Force, Pentagon, Washington, District of Columbia. Brig. Gen. Michael J. Schmidt, program executive officer for fighters and bombers, Office of the Assistant Secretary of the Air Force (Acquisition), Wright-Patterson Air Force Base, Ohio, to program executive officer for command, control, communications, intelligence and networks, Office of the Assistant Secretary of the Air Force (Acquisition), Hanscom Air Force Base, Massachusetts. Brig. Gen. Phillip A. Stewart, commanding general, Train, Advise, Assist Command-Air; and commander, 438th Air Expeditionary Wing, Air Combat Command, Kabul, Afghanistan, to commander, North Atlantic Treaty Organization Alliance Ground Surveillance Force, Allied Command Operations, North Atlantic Treaty Organization, Sigonella, Italy. Col. Joel L. Carey, who has been selected for the grade of brigadier general, from commander, 12th Flying Training Wing, Air Education and Training Command, Joint Base San Antonio-Randolph, Texas, to commanding general, Train, Advise, Assist Command-Air; and commander, 438th Air Expeditionary Wing, Air Combat Command, Kabul, Afghanistan. Brig. Gen. David R. Iverson, senior military assistant to the Secretary of the Air Force, Office of the Secretary of the Air Force, Pentagon, Washington, District of Columbia, to commander, 332d Air Expeditionary Wing, Air Combat Command, Southwest Asia. Col. Heath A. Collins, who has been selected for the grade of brigadier general, from senior materiel leader and system program manager, Ground Based Strategic Deterrent Systems Program Office, Air Force Nuclear Weapons Center, Air Force Materiel Command, Hill Air Force Base, Utah, to program executive officer for fighters and bombers, Office of the Secretary of the Air Force (Acquisition), Wright-Patterson Air Force Base, Ohio. Brig. Gen. Chad P. Franks, vice commander, 14th Air Force (Air Forces Strategic), Air Force Space Command, Vandenberg Air Force Base, California, to deputy commander, operations and intelligence, Combined Joint Task Force-Operation Inherent Resolve, U.S. Central Command; and commander, 9th Air Expeditionary Task Force-Levant, Air Combat Command, Southwest Asia. Col. Matthew W. Davidson, who has been selected for the grade of brigadier general, from executive officer to the chief of staff of the Air Force, Headquarters U.S. Air Force, Pentagon, Washington, District of Columbia, to vice commander, 14th Air Force (Air Force Strategic), Air Force Space Command, Vandenberg Air Force Base, California. Brig. Gen. Randall Reed, deputy director, Strategic Plans, Requirements and Programs, Headquarters Air Mobility Command, Scott Air Force Base, Illinois, to senior defense official and defense attaché, Turkey, Defense Intelligence Agency, Ankara, Turkey. Brig. Gen. John C. Millard, executive officer to the commander, U.S. Transportation Command, Headquarters U.S. Transportation Command, Scott Air Force Base, Illinois, to deputy director, Strategic Plans, Requirements and Programs, Headquarters Air Mobility Command, Scott Air Force Base, Illinois. Brig. Gen. Craig D. Wills, director, Strategic Plans, Requirements, and Programs, Headquarters Pacific Air Forces, Joint Base Pearl Harbor-Hickam, Hawaii, to deputy chief, Office of Security Cooperation-Iraq, U.S. Central Command, Baghdad, Iraq. Brig. Gen. Michael P. Winkler, vice commander, 5th Air Force; and director, Pacific Air Forces Joint Air Component Coordination Element, Pacific Air Forces, Yokota Air Base, Japan, to director, Strategic Plans, Requirements, and Programs, Headquarters Pacific Air Forces, Joint Base Pearl Harbor-Hickam, Hawaii. Col. Todd A. Dozier, who has been selected for the grade of brigadier general, executive officer to the commander, Pacific Air Forces, Headquarters Pacific Air Forces, Joint Base Pearl Harbor-Hickam, Hawaii, to vice commander, 5th Air Force; and director, Pacific Air Forces Joint Air Component Coordination Element, Pacific Air Forces, Yokota Air Base, Japan. Brig. Gen. Jeannie M. Leavitt, commander, 57th Fighter Wing, Air Combat Command, Nellis Air Force Base, Nevada, to commander, Air Force Recruiting Service, Air Education and Training Command, Joint Base San Antonio-Randolph, Texas. Brig. Gen. Robert G. Novotny, deputy director, Plans and Programs, Headquarters Air Combat Command, Joint Base Langley-Eustis, Virginia, to commander, 57th Fighter Wing, Air Combat Command, Nellis Air Force Base, Nevada. Col. David N. Miller Jr., who has been selected for the grade of brigadier general, commander, 460th Space Wing, Air Force Space Command, Buckley Air Force Base, Colorado, to director of programming, Financial Management and Comptroller, Headquarters Air Force Space Command, Peterson Air Force Base, Colorado. Brig. Gen. Gregory M. Guillot, chief of staff, Headquarters Pacific Air Forces, Joint Base Pearl Harbor-Hickam, Hawaii, to deputy commander, U.S. Air Forces Central Command; and deputy, Combined Forces Air Component commander, U.S. Central Command, Al Udeid Air Base, Qatar. Maj. Gen. Brian M. Killough, director, Strategic Plans, Deputy Chief of Staff for Strategic Plans and Requirements, Headquarters U.S. Air Force, Pentagon, Washington, District of Columbia, to chief of staff, Headquarters Pacific Air Forces, Joint Base Pearl Harbor-Hickam, Hawaii. Brig Gen. David A. Krumm, who has been selected for the grade of major general, deputy director, requirements, J-8, Joint Staff, Pentagon, Washington, District of Columbia, to director, Strategic Plans, Deputy Chief of Staff for Strategic Plans and Requirements, Headquarters U.S. Air Force, Pentagon, Washington, District of Columbia.